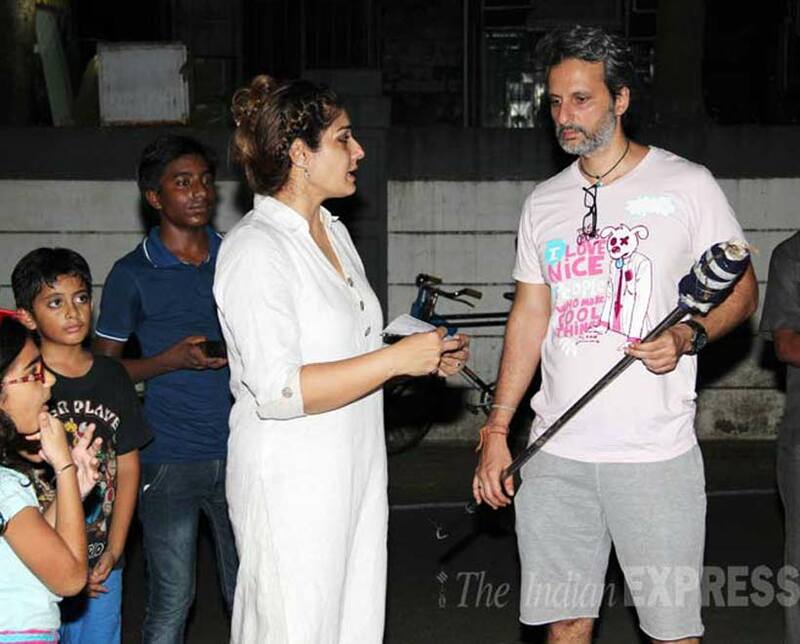 Actress Raveena Tandon was seen celebrating Dussehra with her children Ranbirvardhan and Rasha outside their residence in Mumbai on Thursday (October 22). 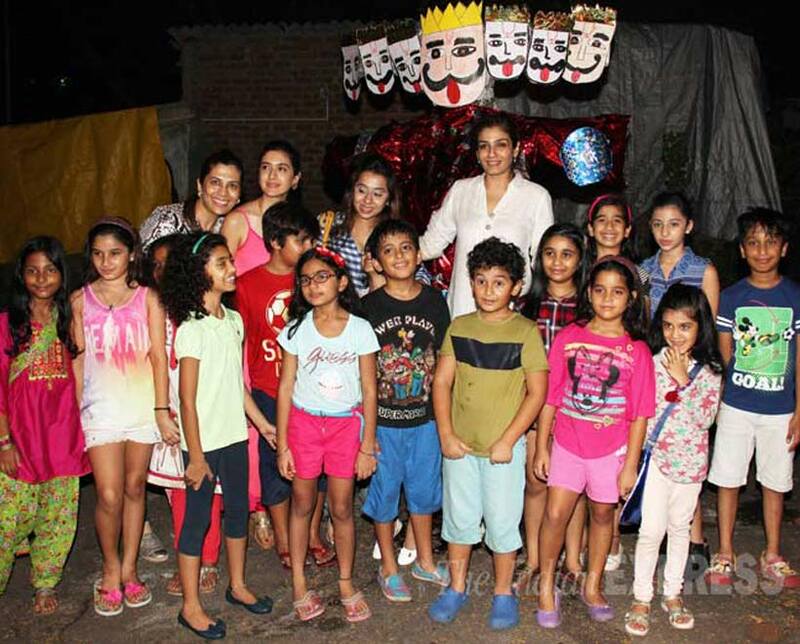 Raveena and her husbsand Anil Thadani were also joined by their friends kids who were excited to see the raavan effigy being burnt. Raveena Tandon looked nice in a white palazzo suit while her husband Anil was casual in shorts, t shirt and hawaii chappals. Raveena's son Ranbirvardhan breaks the coconut before the puja of Vijaydashami. 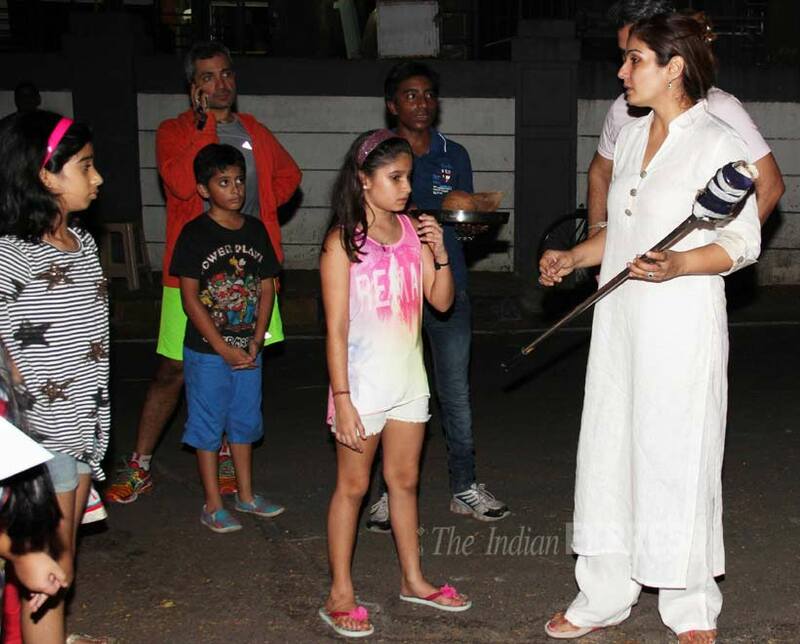 Raveena with her daughter Rasha and other kids. 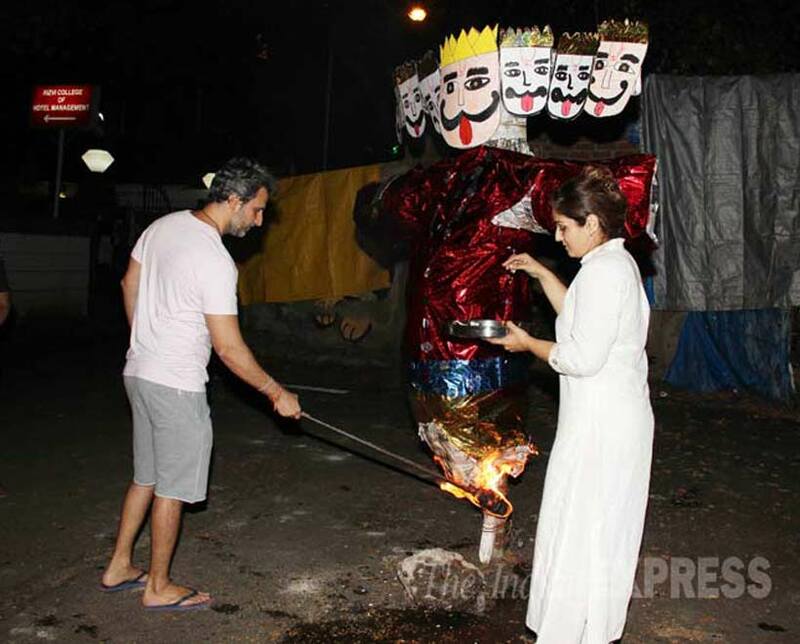 Raveena holds her son Ranbirvardhan as husband Anil does the tradition of burning the Raavan effigy. 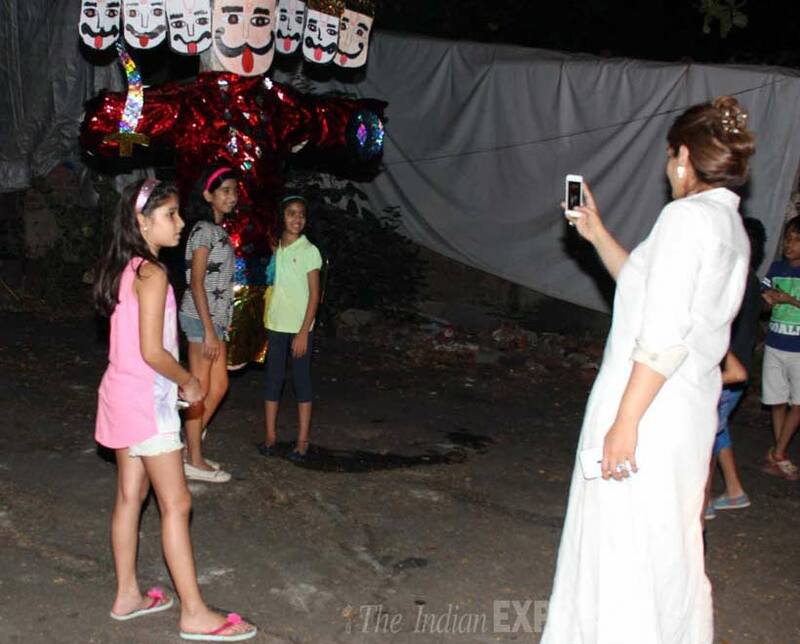 A pic with the Raavan effigy - Raveena clicks pictures of the kids with the effigy of Raavan. 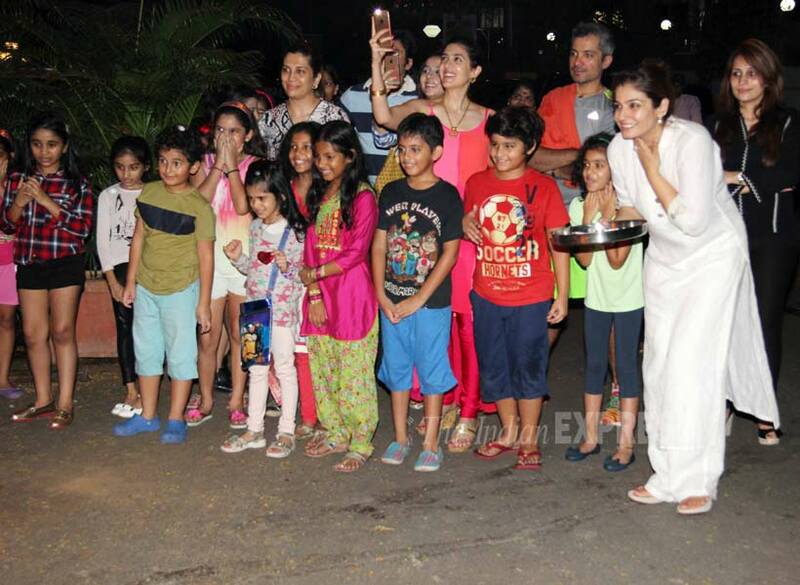 Raveena takes picture of her daughter and other kids. 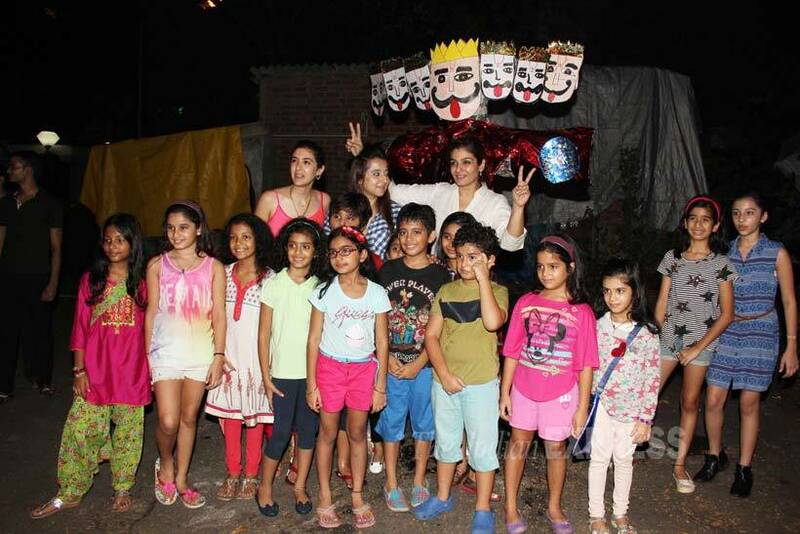 Raveena poses with the kids in front of the effigy. Anil setting the effigy of Raavan to fire.